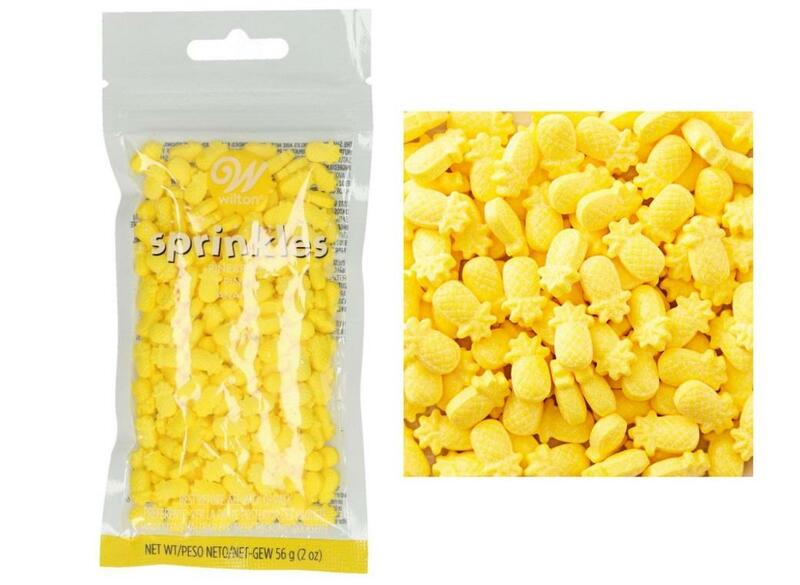 Fun pineapple shaped sugar decorations. 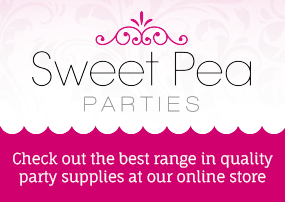 Cute pink flamingo shaped sugar decorations. 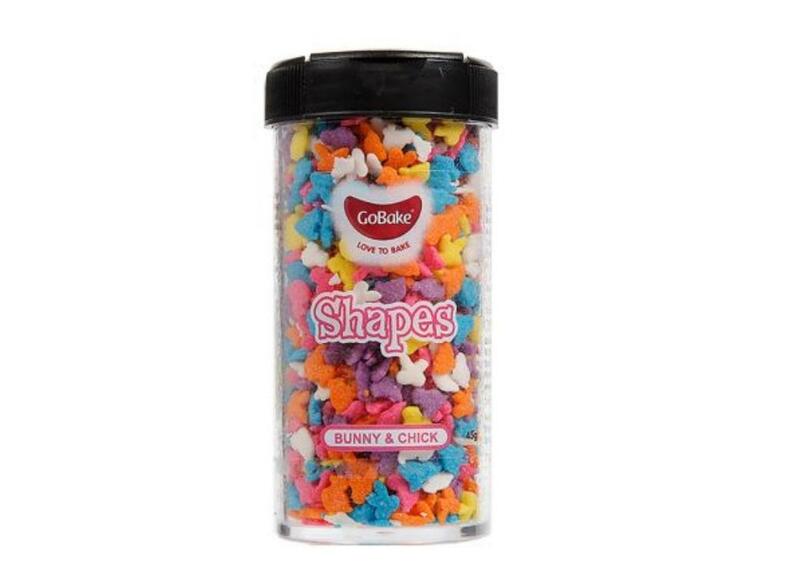 Beautiful gem shaped sugar decorations. 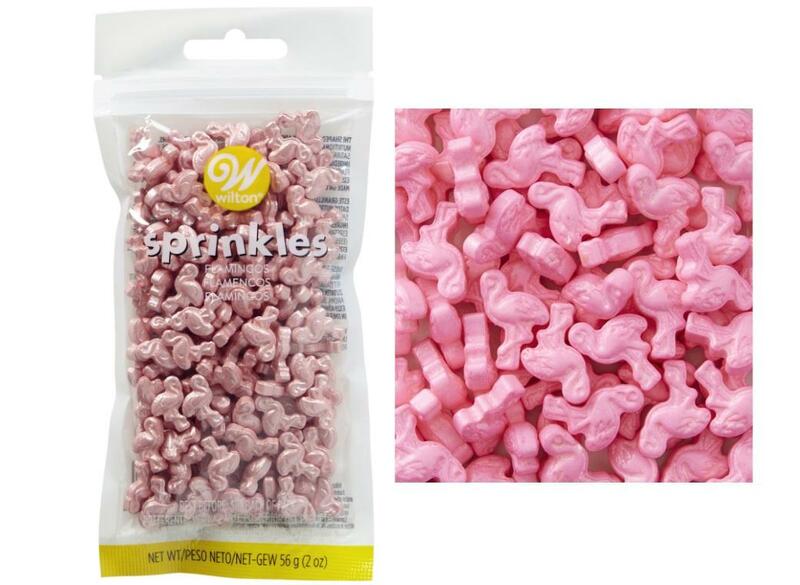 Cute pink heart shaped sugar decorations. 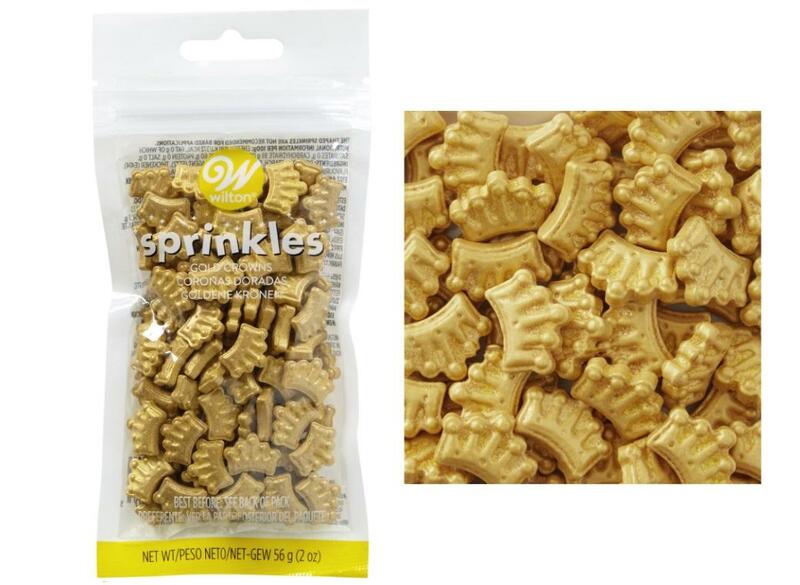 Cute gold crown shaped sugar decorations. 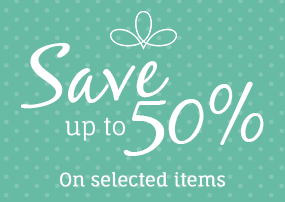 Cute gold arrow shaped sugar decorations. 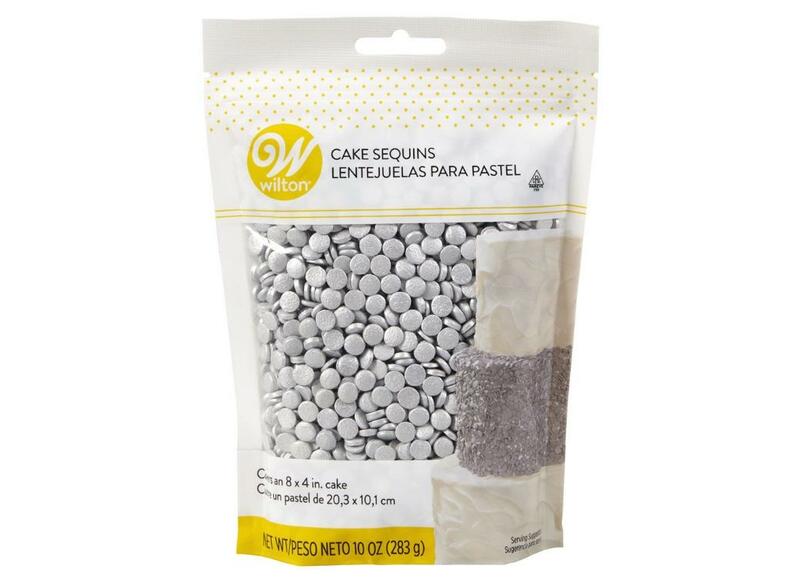 Add a festive touch to your cake decor. 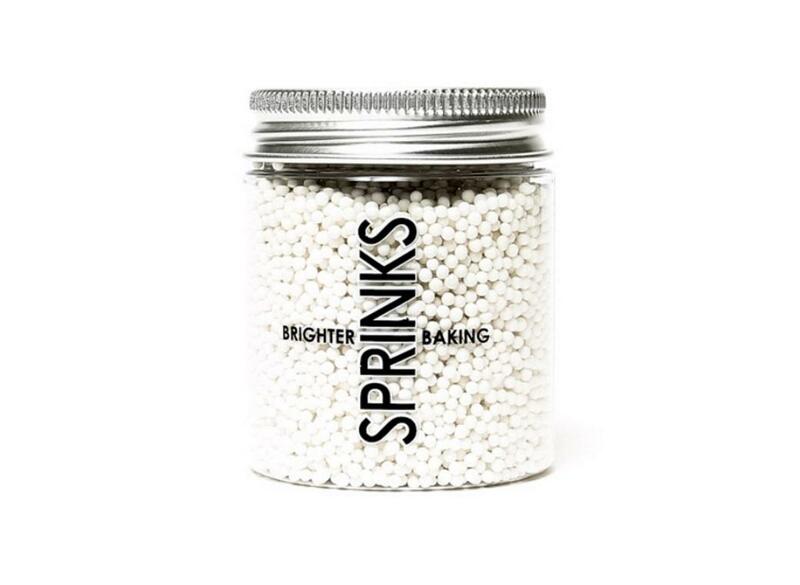 Add a touch of sophistication to your cake decor. 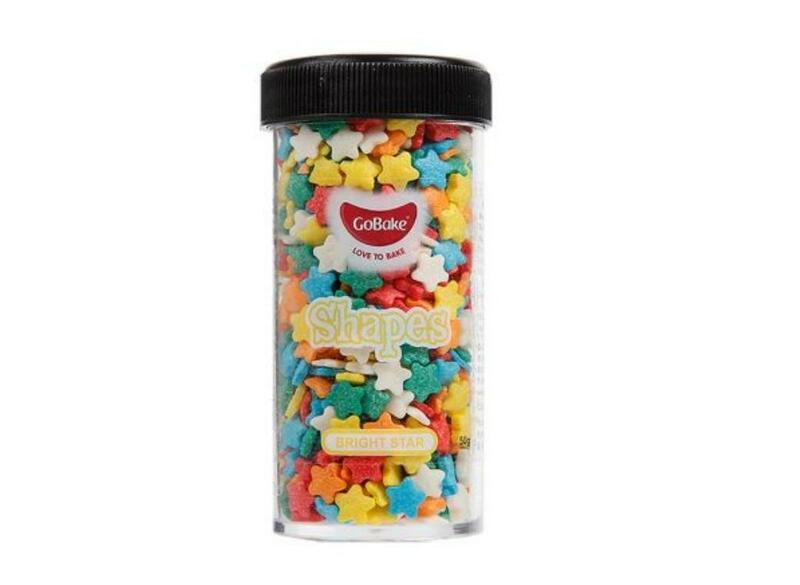 Beautiful silver star shaped sugar decorations. 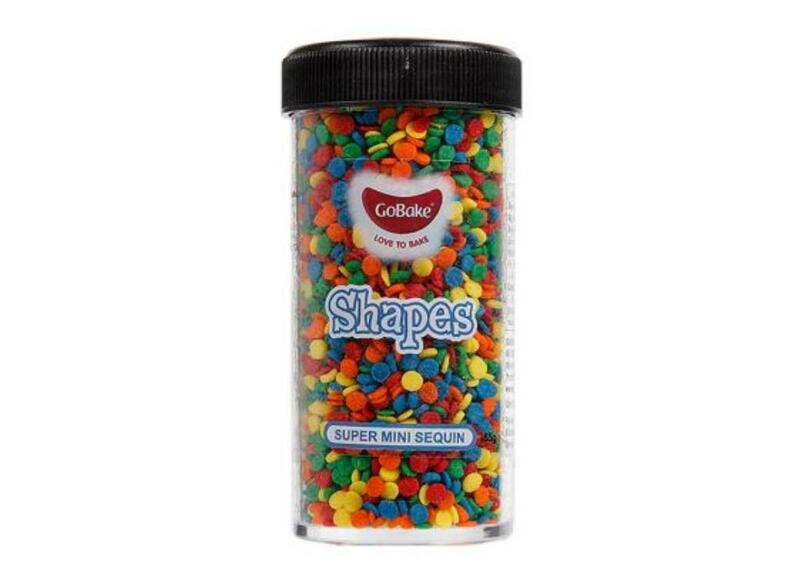 Fun soccer ball shaped sugar decorations. 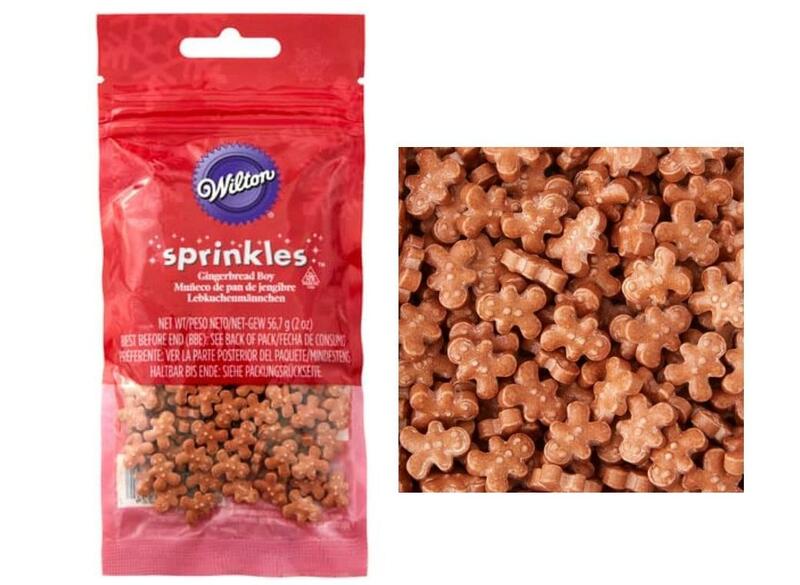 Fun airplane shaped sugar decorations. 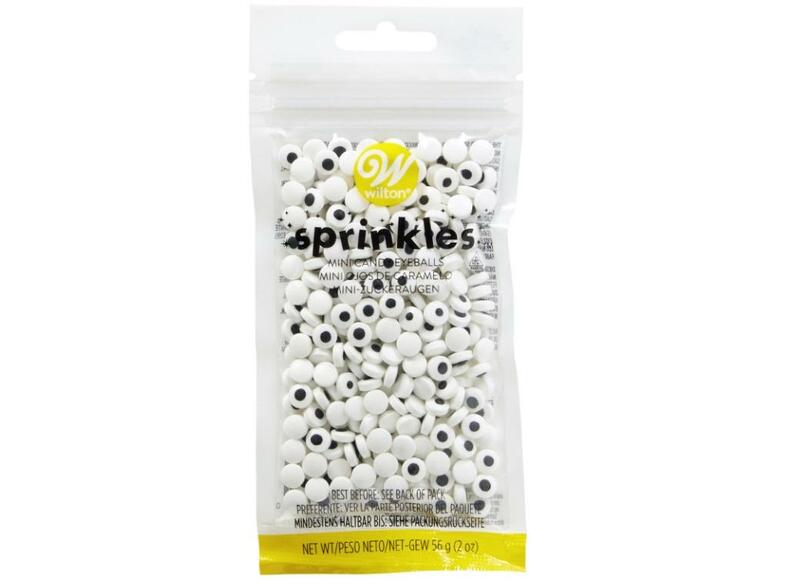 Perfect for putting faces on cake pops, cookies, cupcakes and much more. 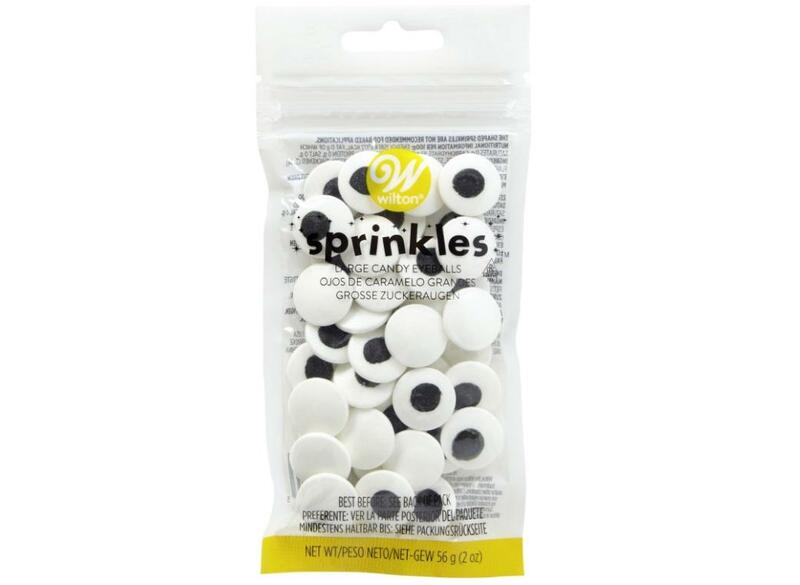 Perfect for putting faces on smaller treats like cake pops, mini cupcakes and more. 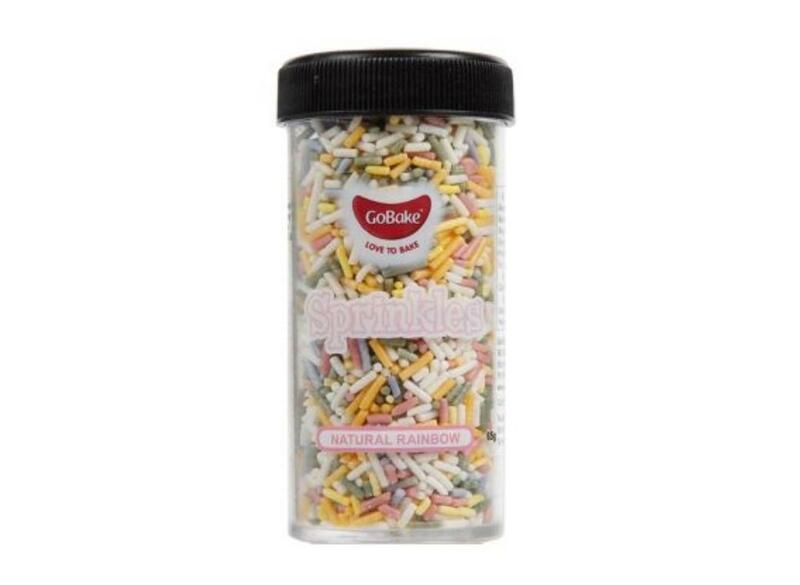 Cute red, pink and white heart shaped sprinkles. 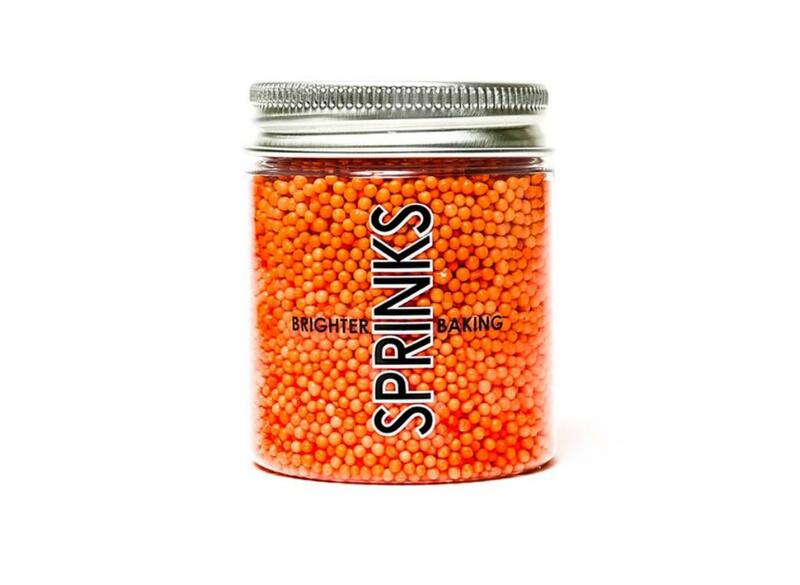 Add a sophisticated look to special occasion cakes. 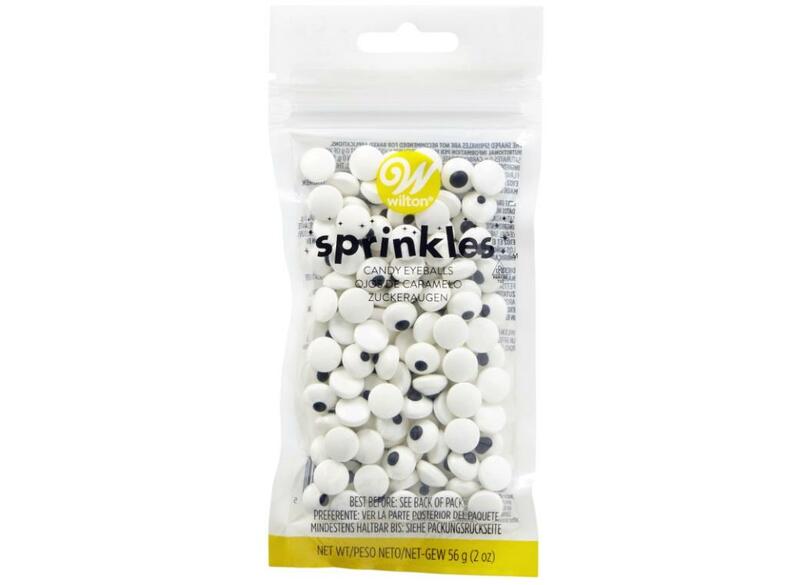 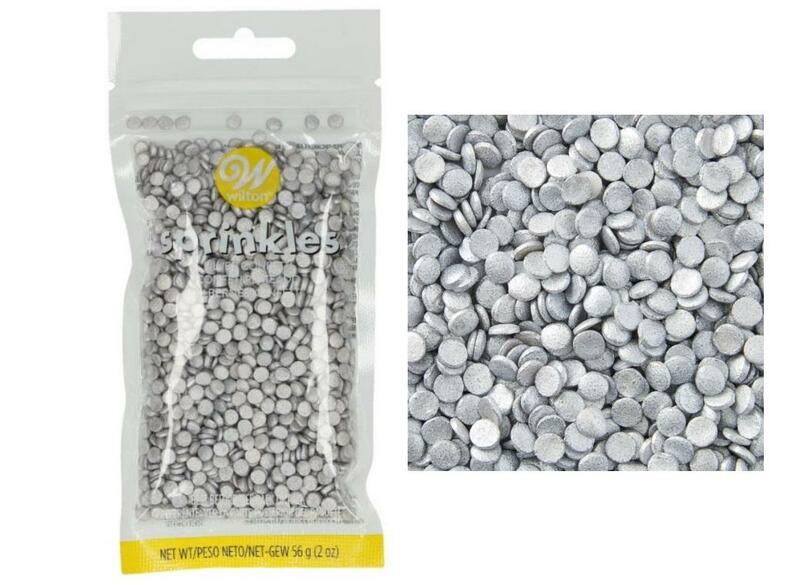 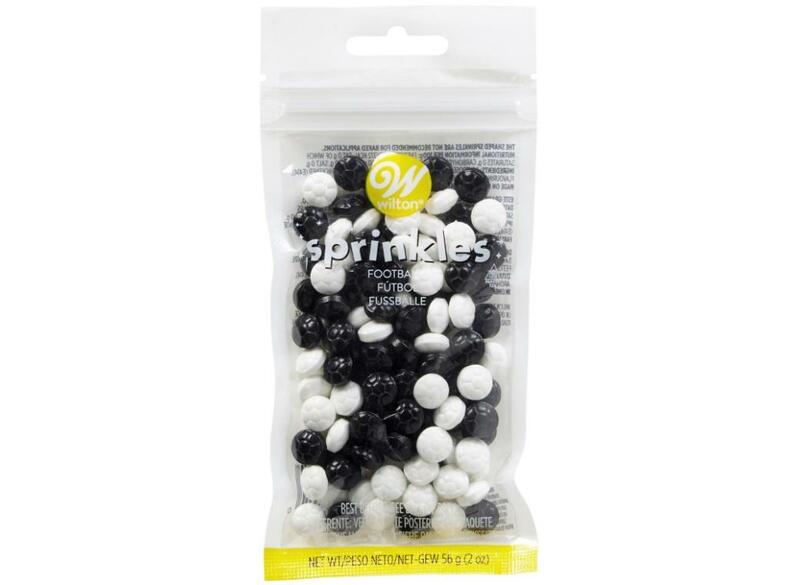 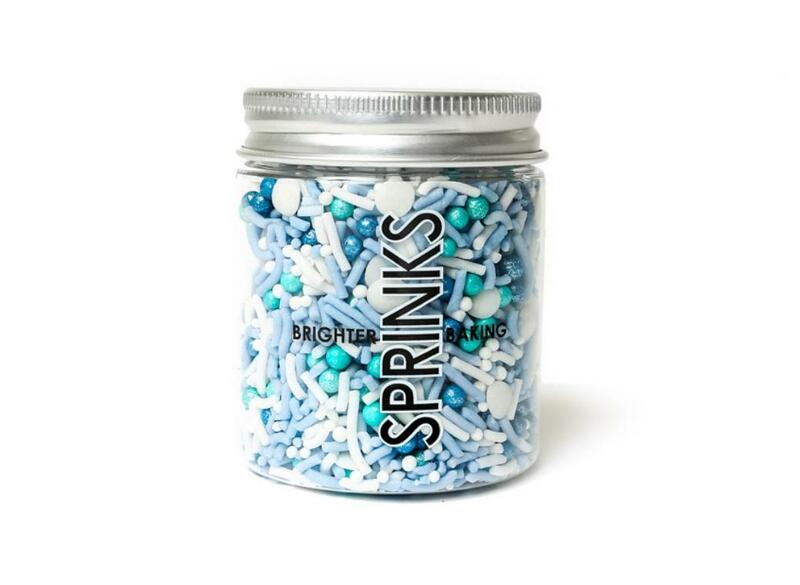 Pack of 4 glamorous silver and white sprinkles! 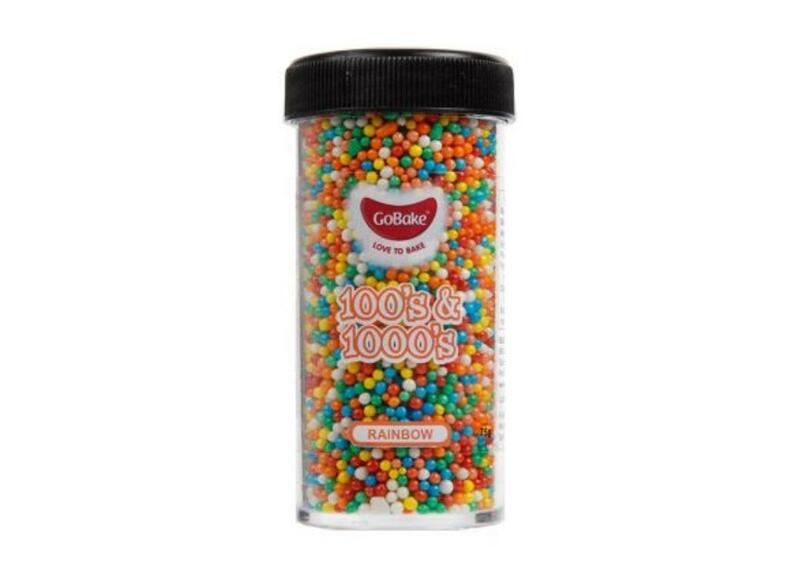 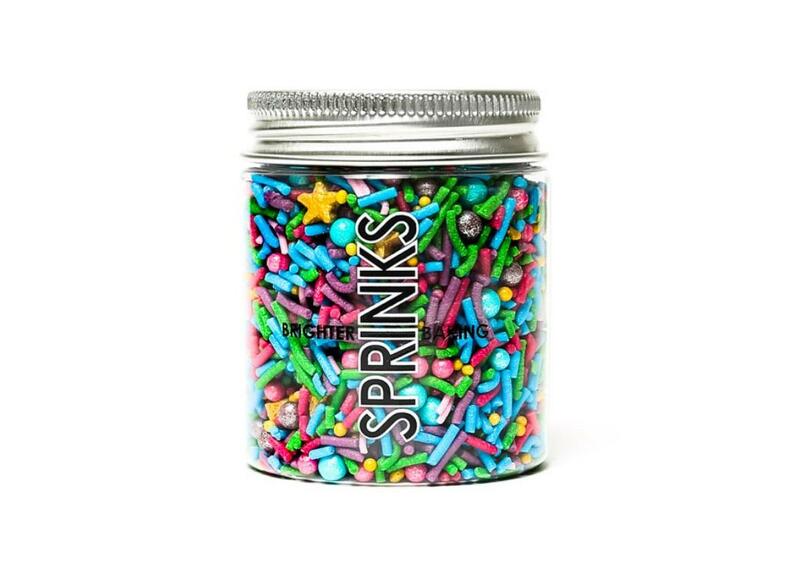 Add a touch of glitz and glamour with this sprinkle medley kit. 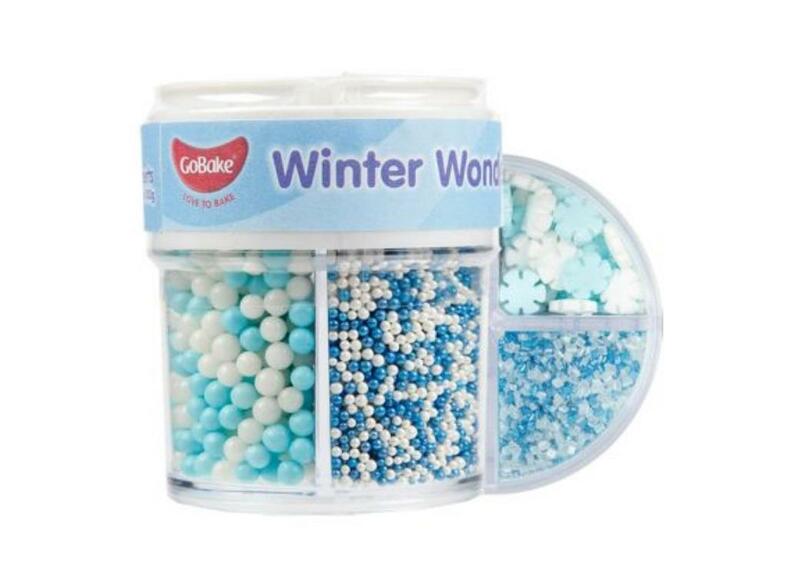 Perfect for winter themed cupcakes, cakes, cookies and more. 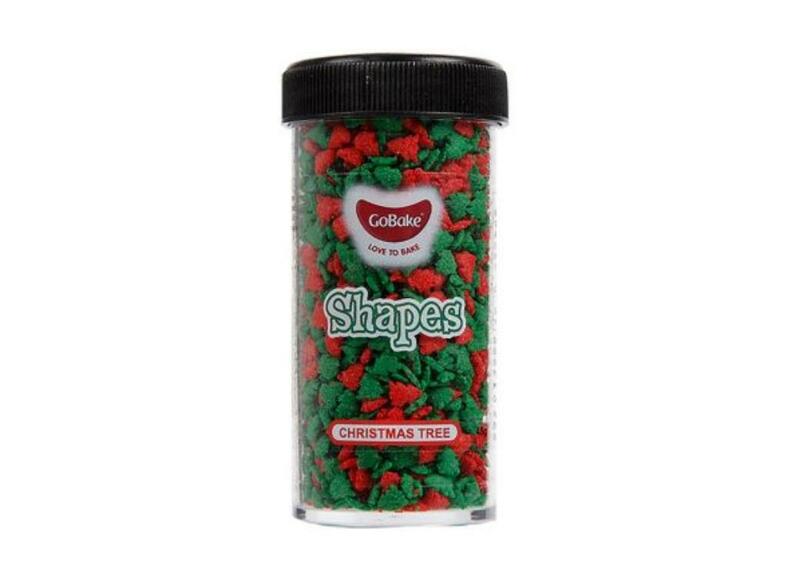 Fun edible red and green Christmas tree shapes. 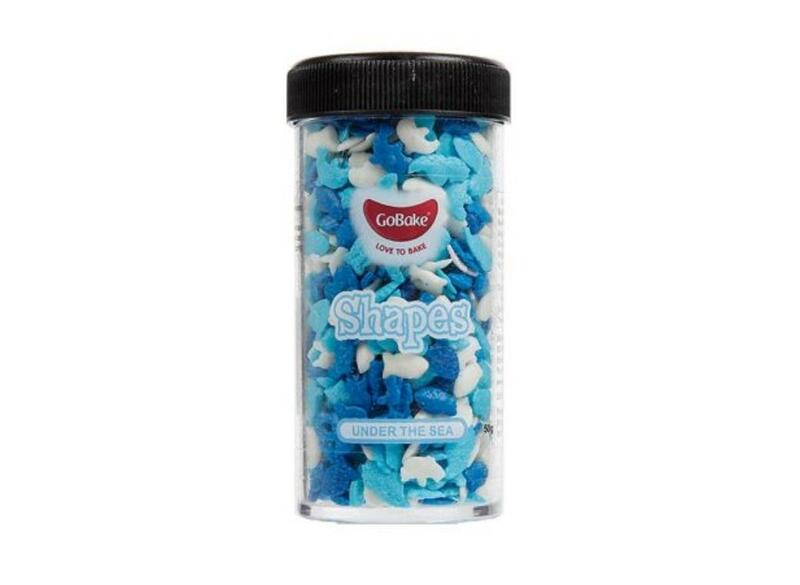 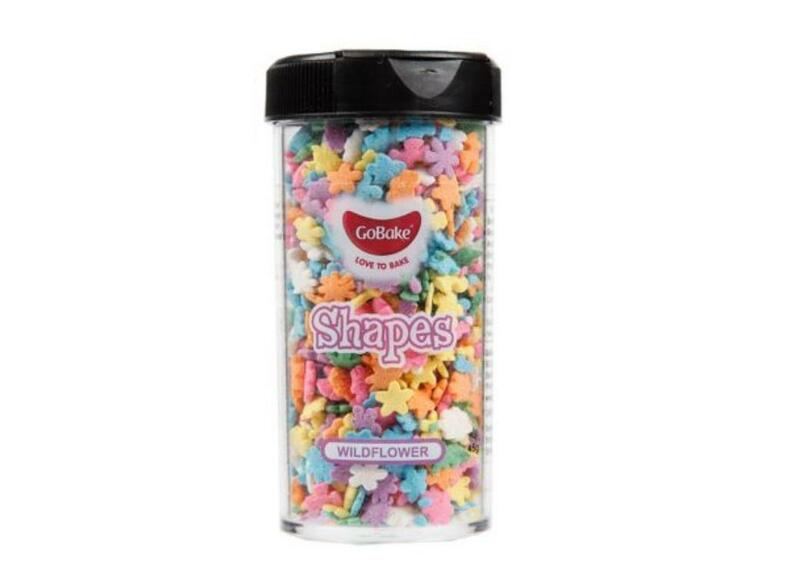 Fun sea themed sprinkle shapes. 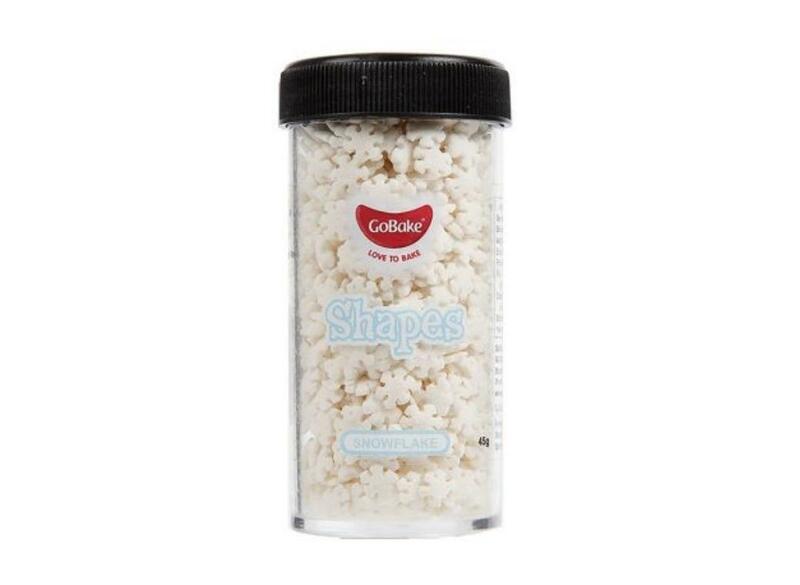 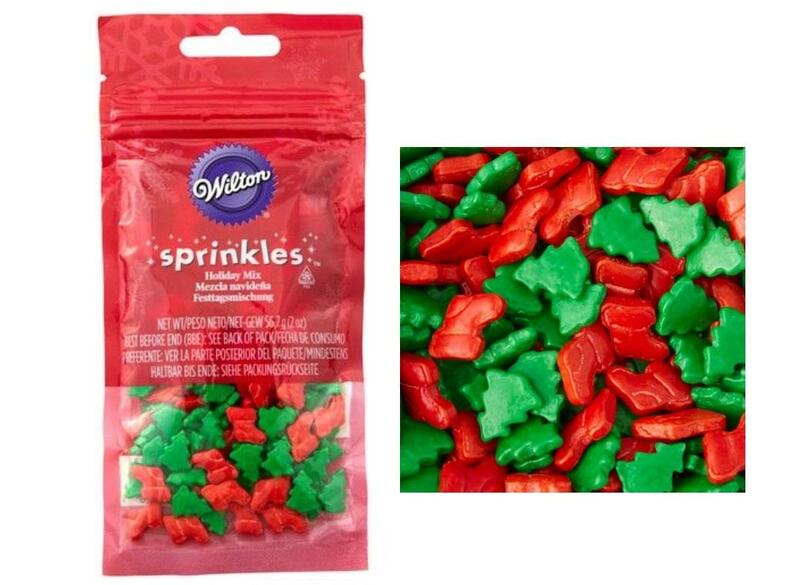 Fun edible Snowflake shaped sprinkles! 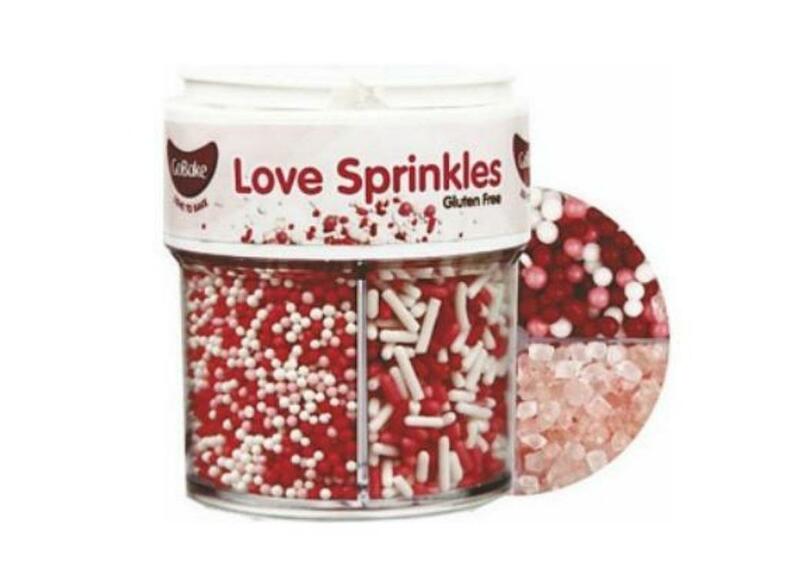 Cute mini hearts in red, pink and white. 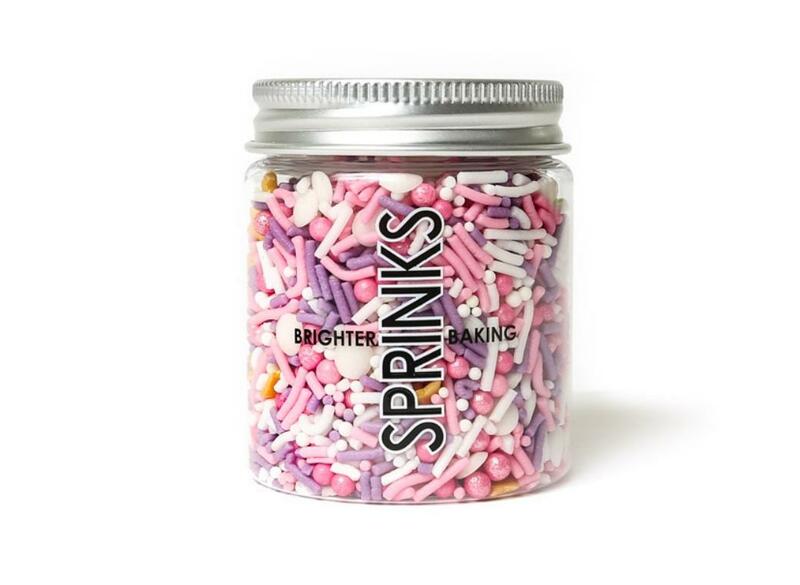 Cute jumbo heart shaped sprinkles in red, pink and white. 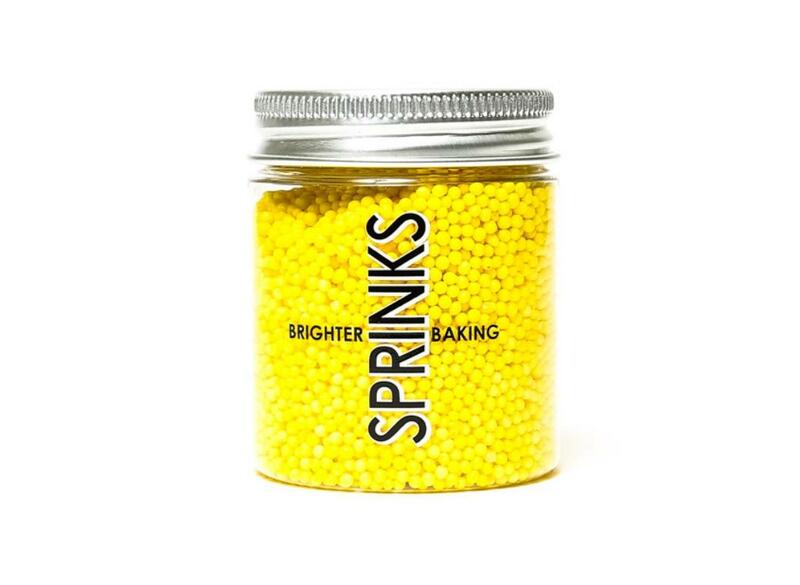 A cake decorating favourite in bright rainbow colours. 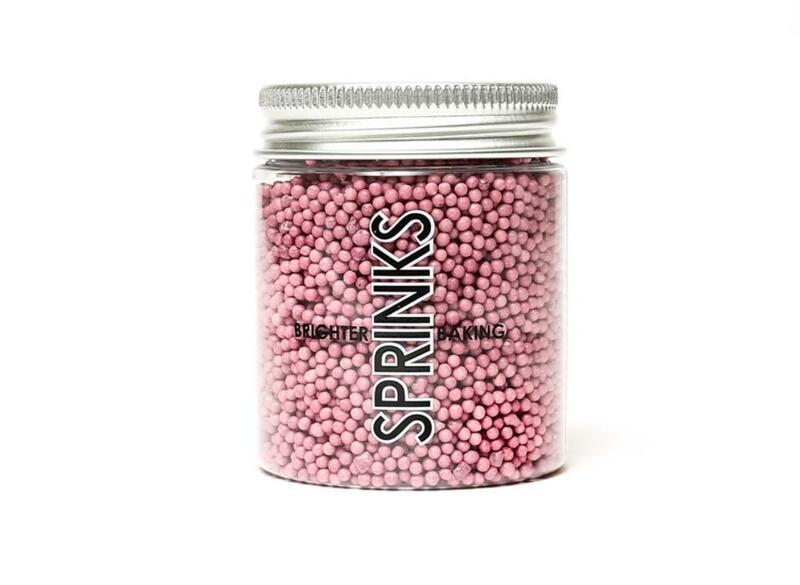 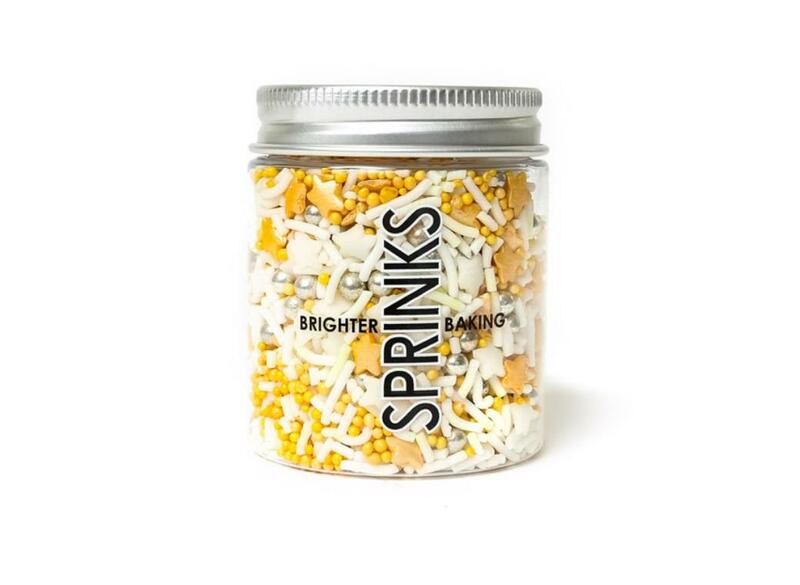 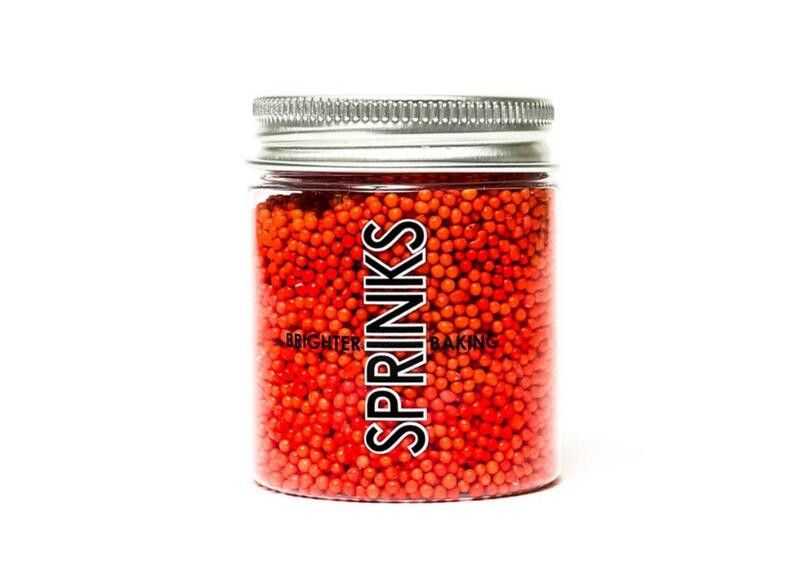 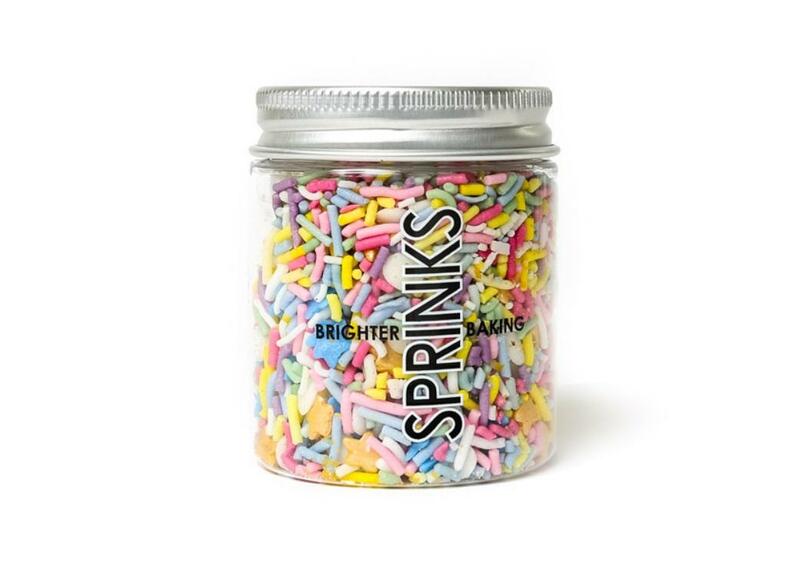 Hail sprinkles made with natural colourings. 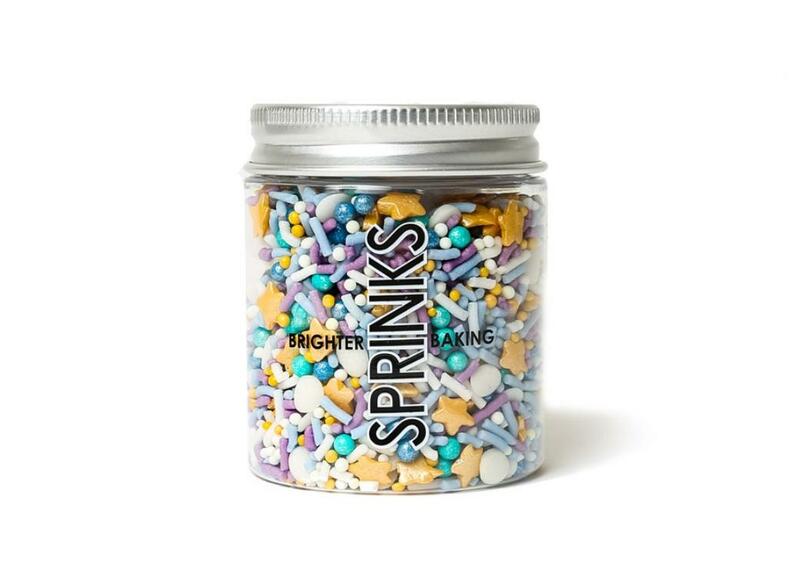 Decorate your cakes, cupcakes, cookies, other baked goods! 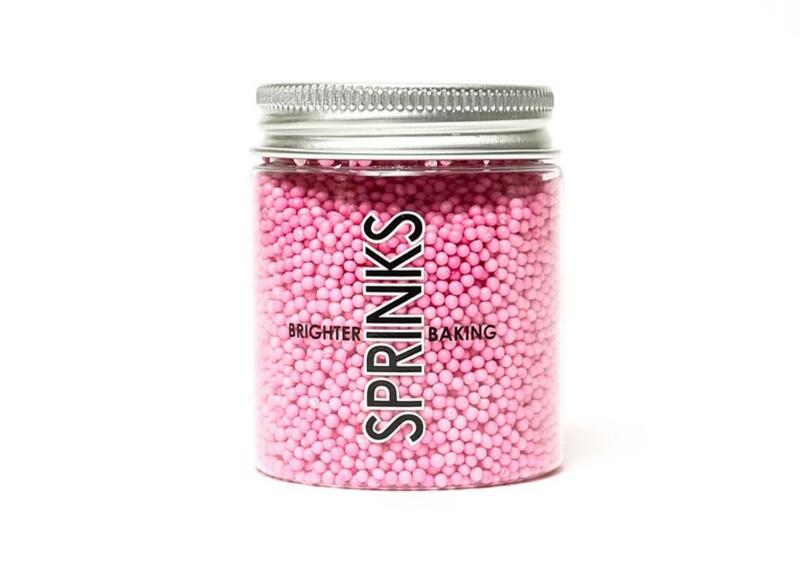 Perfect for Easter baking, Baby Showers and more. 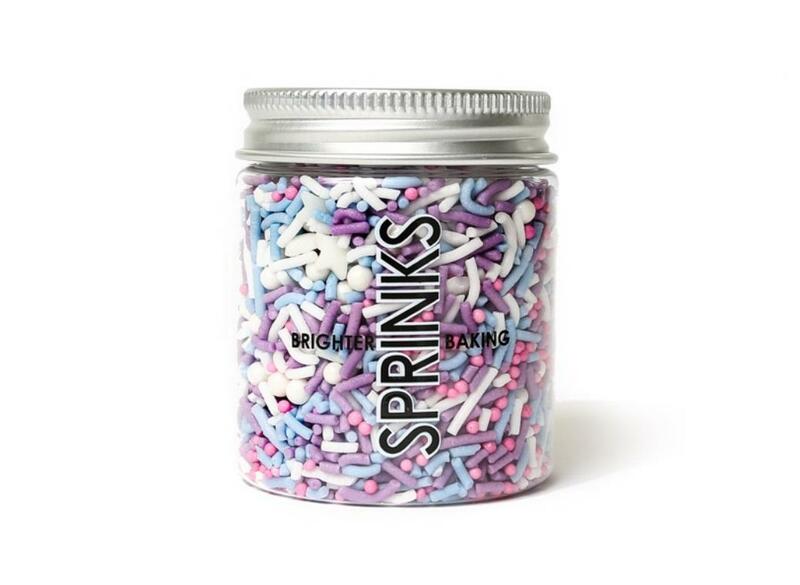 Perfect for Easter baking, fairy parties and more. 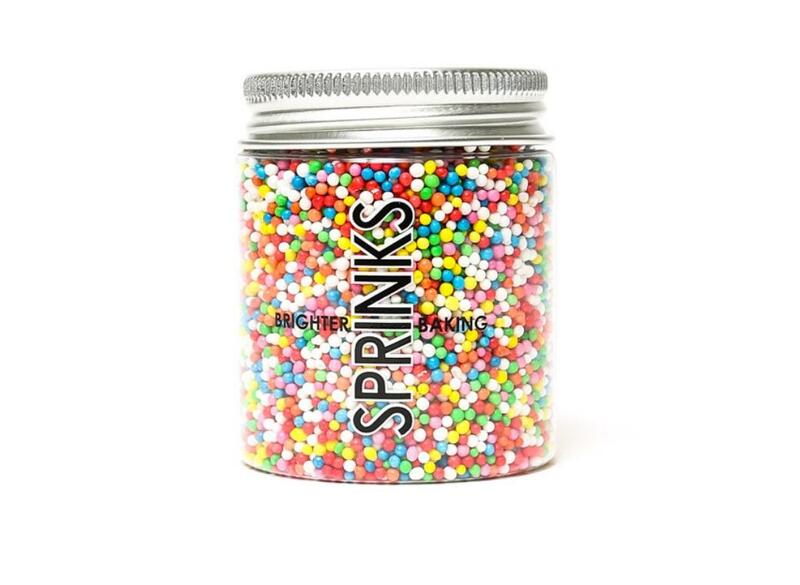 Perfect for decorating Christmas cupcakes and treats. 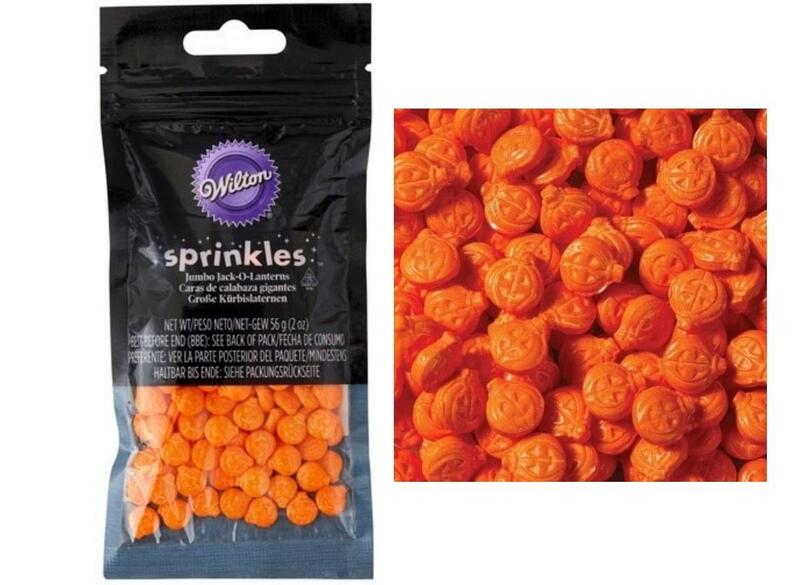 Cute orange Jack O Lantern shaped sprinkles. 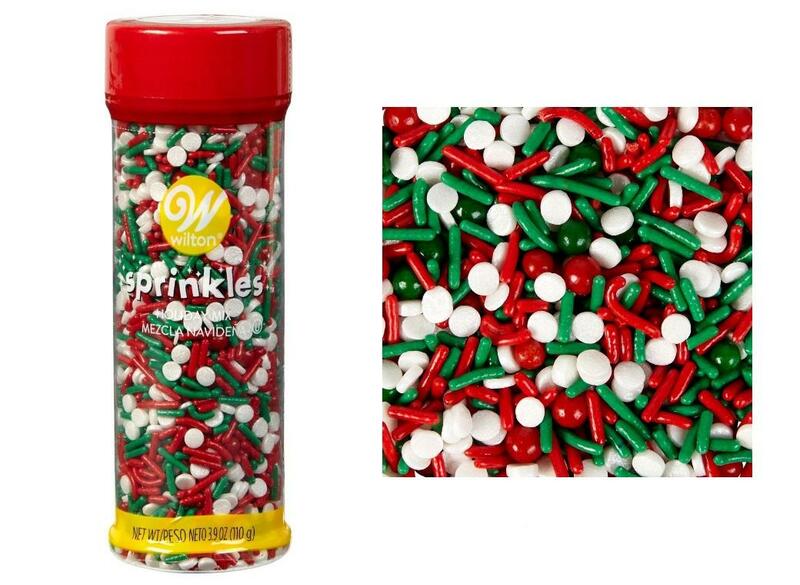 Red and green jimmies, along with white snowflakes. 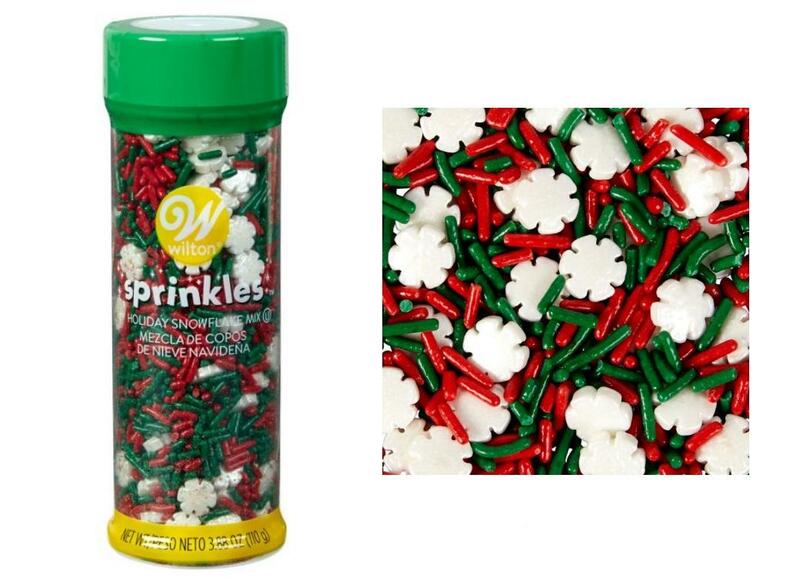 Tree shaped sprinkles, hail and green and gold sugar pearls. 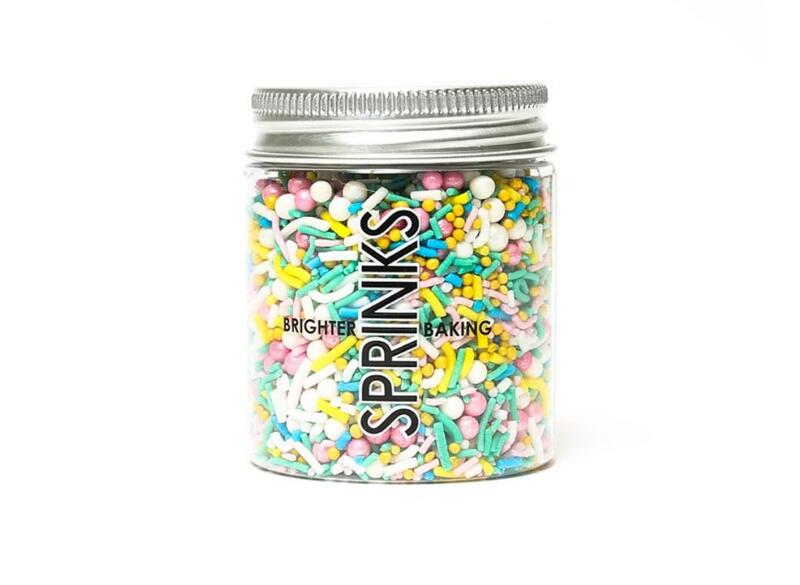 Top off your treats with this traditional sprinkle mix. 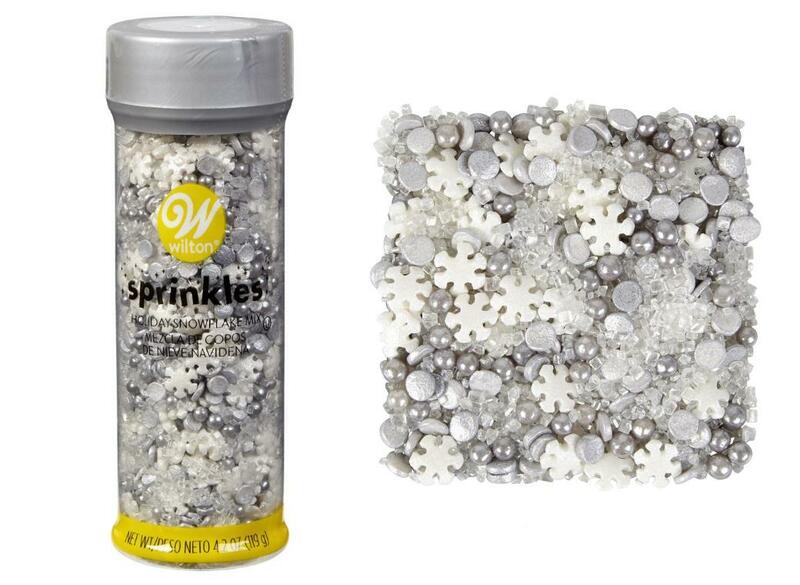 Shimmering mix of snowflakes, pearls, confetti and sugar. 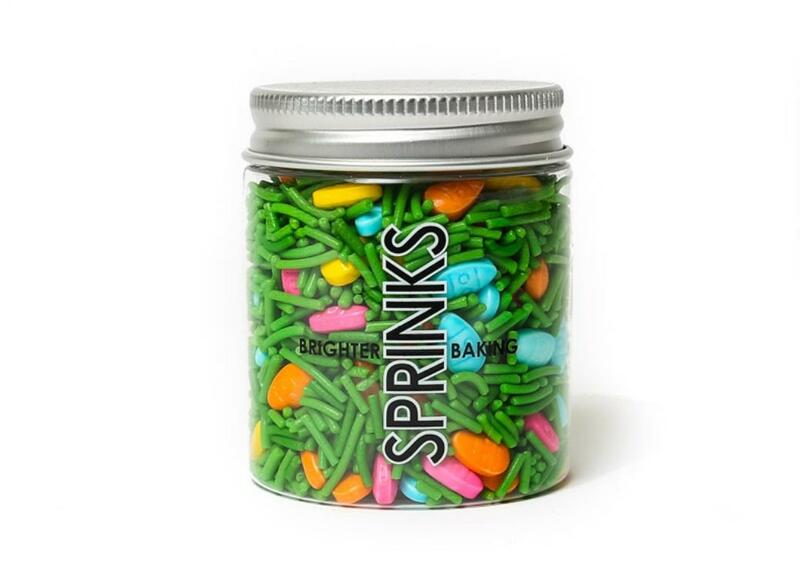 Cuter pink, blue and green bunnies.